What's Really Going on Within Those Four Walls? Are you planning to buy or sell a house in the Luray, Virginia area? Call Mountain Home Inspections for a complete visual examination of the property. Susan Custer of Mountain Home Inspections has been in the home services business for over 38 years. Using her construction experience, she can provide detailed reports on houses across the area. Get the information you need to know before you buy or sell a home. Call us today to schedule your residential inspection in Luray & Front Royal, VA and the surrounding areas. Susan Custer of Mountain Home Inspections isn't afraid to take on tough jobs. She's examined moldy attics, tight crawl spaces and far worse while inspecting 100-year-old homes around the area. Whether your home is brand-spanking new or has its origins in the 19th century, you can rely on Mountain Home Inspections for an in-depth visual examination and a detailed report. Susan will examine every part of your home, including the electrical, HVAC and plumbing components. Contact us today to ensure your safety and that of your family. Don't invest your hard-earned savings in a home that will only cause you problems down the road. 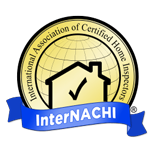 Whether you're buying or selling a home, you need to contact a qualified home inspector for a complete evaluation of the property. Mold and radon testing are not included in the standard home inspection package, but testing for both is recommended and well worth the cost. Call Mountain Home Inspections serving Luray & Front Royal, Virginia to schedule service.